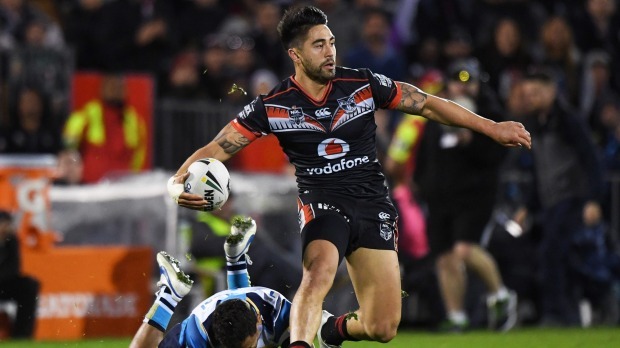 Another must win match is on the cards for the Vodafone Warriors as they clash with the Gold Coast Titans at Cbus Stadium in Robina. Both teams will be desperate for the 2 points as they sit precariously on the edge of the Top 8, a win would see one side move one step closer to playing finals footy in 2016 while a loss could have serious ramifications on their quest for glory this season. 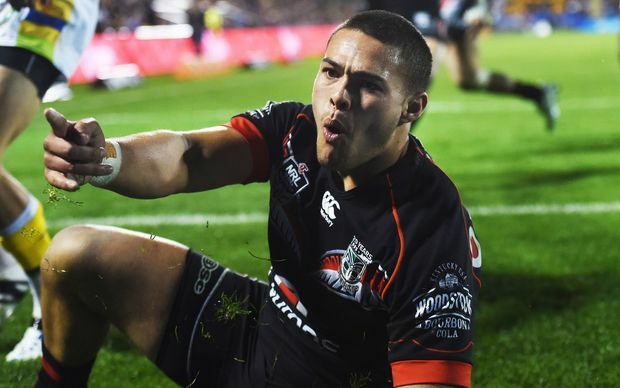 Both teams showed that they're capable of going the full distance in games after their performances in Rd 21, with the Warriors again being forced to play the extra minutes of golden point and come away with the victory thanks to the smart thinking of Kata to produce a one on one strip only to be outdone by some Shaun Johnson brilliance. The Titans on the other hand were forced to walk away with just the 1 point after going the distance with the competition leaders in what was arguably one of the games of the season. With each match there are vital moments that can determine a result and this week we look at 5 that have the capability of swinging the game one way or the other. In what is set to become a heavy weight battle between 2 blokes, who at the beginning of the season were up against each other for one of the 2 center positions at the same club, this could become one of the best head to head confrontations between 2 players the game has seen in a while. Both players are damaging runners with ball in hand and opposition defenses often have difficulty making effective tackles on the pair. Konrad has the slight advantage in attack due to his ability to offload as well as draw and pass while Kata has the advantage in the defensive department. Konrad may have his work cut out for him if his D becomes lazy as any lapse in defense will be exposed by Kata. 2. Hayne - Will he play or won't he? It's funny how quickly something can be rubber stamped with the NRL when they have ownership of the footy side in question. It does make you wonder that if it was any other club, would they have had to jump through many more hurdles before they were able to field a player so quickly after the signing announcement was made. While Hayne will no doubt be a great asset for the Titans it is a fairly big risk to be rushing a bloke who has been out of the game for roughly 2 years and has had little to no game time over this period. Naming him in the 17 could come back and bite the Titans on the arse, expect the Warriors to send plenty of work his way throughout the course of the game should he take the field. While many of us sit back and wonder what on earth is doing when we see the teams named and notice a back on the bench, it's kind of hard to argue that it is detrimental to the team, considering how the boys have been playing such consistent footy. While on the other hand one could argue that with an extra set of fresh legs being used in the engine room it may have been enough to get the boys home in some of the heart breaking golden point losses that have recently been endured. The addition of an extra forward as well as the inclusion of Roache over a struggling Tevaga is a positive move from Cappy and the squad looks stronger for it. He's been the name on everyone's lips over the last few weeks. Tui has finally been given a shot at claiming that #1 jersey as his own for the remainder of the season and it is time for him to stand up and make all the noise that was created in his absence seem like it was worth it. While he may have been quieter than most would have liked last weekend it can be forgiven due to his little game time on the field in recent times. Now that the cobwebs have been removed and he has that full game under his belt, he must stand up and make himself known this weekend as another quiet game will do nothing but play into the Titans hands. With the Warriors coming off their 4th golden point game in their last 5 fixtures, ironically the 1 game that didn't go to golden point was against the Titans, it makes you wonder just how much energy those extra minutes have zapped away from the side. While they may not have lasted too long in the extra time period before a result was determined in all the games, the closeness of those encounters and the intensity would have taken that little extra away from the energy reserves. While the Titans will also be feeling the pinch after what was a scintillating battle against the Cronulla Sharks, this result may very well be decided on which team have more miles left in the legs and who have been the more diligent with their recoveries after those hard fought games in round 21.